You’d be forgiven for thinking that a lawyer who is trusted with sensitive information about his clients could be trusted to keep the real identity of fledgling author Robert Galbraith out of the press, but Chris Gossage, a partner at Russells Solicitors, slipped up last year by telling a friend of a friend that the “debut” novel was actually written by Harry Potter author JK Rowling. 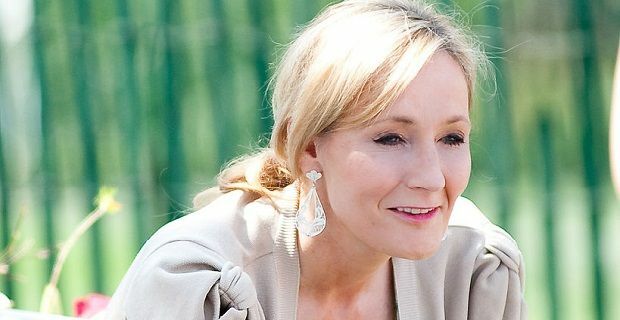 Today’s announcement that Gossage has been fined £1,000 for breaching privacy regulations and that he’s been given a written warning from the Solicitors Regulation Authority (SRA) will come as no comfort for Rowling who was keen to test the market for her venture into crime fiction by disguising her authorship from the world. Gossage told his wife’s friend that Robert Galbraith was a pseudonym for Rowling back in July last year. It didn’t take the friend long to tweet the information which went viral even quicker. The news was all over the web very quickly and in major papers like The Sunday Times as soon as possible. As a result, Rowling, who is extremely private and very protective of her unique position within the literary world, sued Gossage and his friend Judith Callegari. The Harry Potter author accepted an apology and damages which were paid directly to a charity. The ruling was made on 26th November but wasn’t made public straight away. In the ruling the SRA said: “by disclosing confidential information about a client to a third party" Gossage had breached its code of conduct. The breaches include failing to act in the client’s best interest and failing to maintain the trust the public places in the provision of legal services. As a result of the impromptu unveiling of book’s true authorship, sales rose rapidly and extra copies were printed. Financially the situation’s been a win-win for Rowling but we’re not sure if she’s all that bothered about the money given the billions made on the Harry Potter franchise.